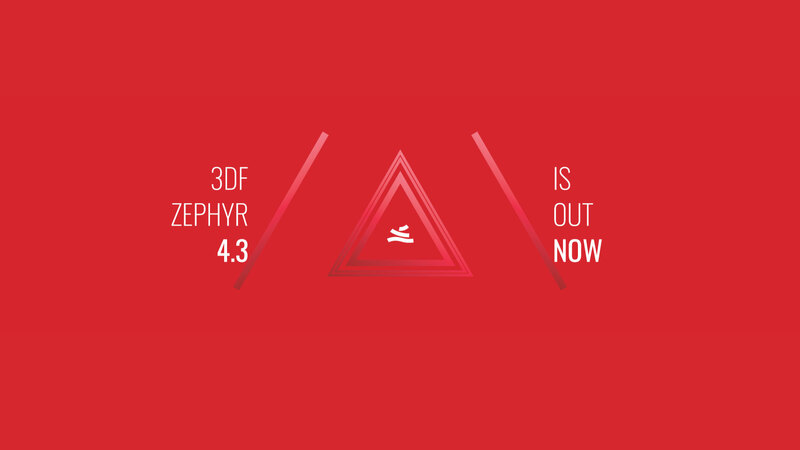 3DF Zephyr 4.300 out now! Faster processing – both the Structure from Motion and the Multiview stereo phases have been significantly improved: for the SfM phase, the bundle adjustment has been improved for dealing with very big datasets and the speedup is especially significant when using more than 500 photos during the orientation phase. As for the MvS phase, the depth map generation was the slower part of the pipeline and we have improved it a lot using novel techniques. Better detail – Our multiview stereo routine has been improved in several parts and it can recover even more detail than before. Improvements have also been made in the photoconsistency algorithm, which can now deal better with thin structures. Improved UI and new bounding box – Many tools have been reorganized for a much more efficient workflow and an even cleaner UI design – to top it off, 4.3 also features a new improved bounding box and gizmo. Export self-hosted 3d model – Quickly embed your 3D model on your website using this HTML/JS exporter. CUDA 10.0 – Zephyr has been upgraded to use the latest NVIDIA CUDA toolkit, 10.0. This allows to support the most recent cards. Please note that with this improvement, the support to older cards (CUDA capabilities < 3.0) has been dropped. Make sure to update your drivers! New orthophoto (Aerial only) – You can now use tiles and selection with rubber band on any mode. Results and workflow have been improved – the orthophoto is now integrated in the workspace, which means that any generated orthophoto will be saved in the zep file and you will be able to view it in the 3D viewport. New blueprint generation tool (Aerial only) – Automatic plane fitting allows to automatically extract sections/room, specifically optimized in architecture/building scenarios (blueprints). OSGB/Ive support (Aerial only) – LoD meshes can be exported in OSGB/Ive.